We were both so excited to be in New York!! It felt like it had been forever since we went on a vacation by ourselves, but really it has only been since November. Still, we were excited to have some time to ourselves and explore a new city! We did ourselves the courtesy of sleeping in pretty much as late as we wanted to. 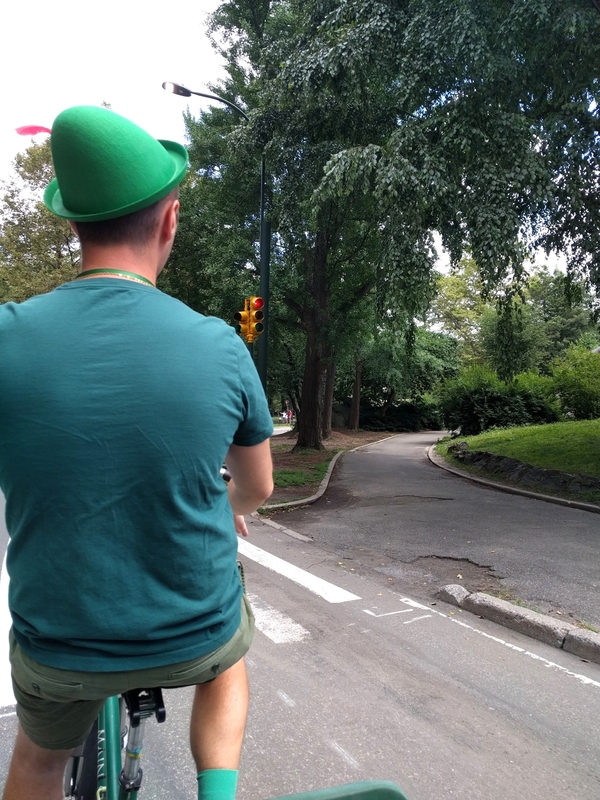 We had a pedicab tour through Central Park scheduled for 11:30, so we didn't need to rush to be there. After breakfast, we walked the three blocks to Central Park, and explored before going to meet our tour guide. 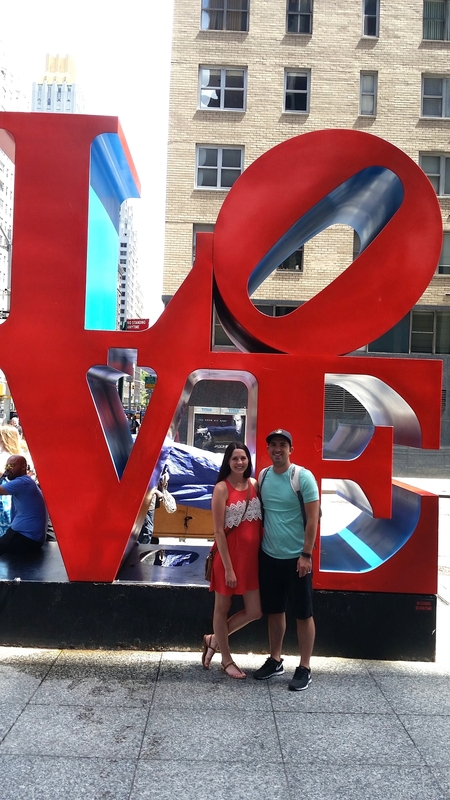 We found the famous Love Sculpture a few blocks away from where we were meeting our guide, so it was fun to see that as the official start to what we deemed our babymoon! 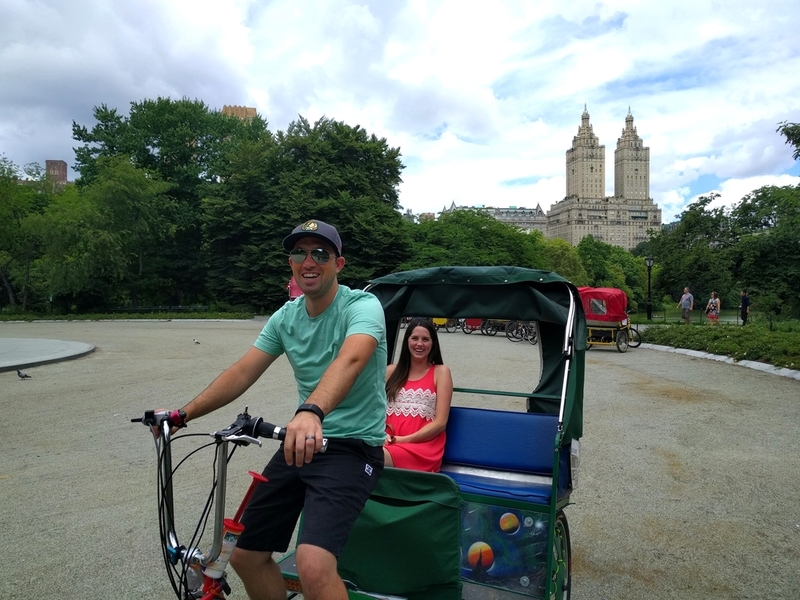 The pedicab tour was so awesome! After so much walking the week before, it was nice to be able to sit and still see everything. Our guide was hilarious, but took us to see all the best parts of the park. I feel like I have said this about everything on the trip so far, but the park is huge!! I knew it was big, but I didn't expect it to be that big! 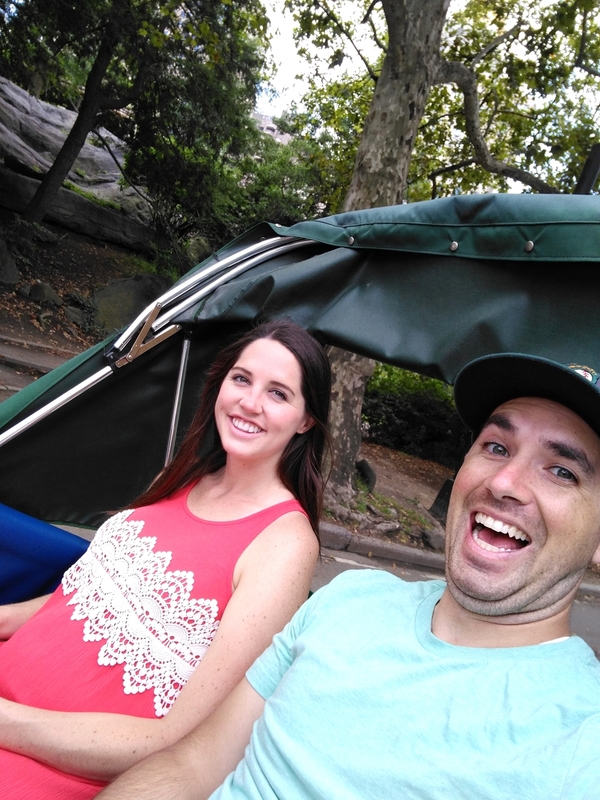 I felt like we got to see a ton of the park, and that, even though we had dedicated that entire first day to Central Park, we wouldn't have to do much walking later when we wanted to go back and see more. Our first stop after the tour were the rowboats. 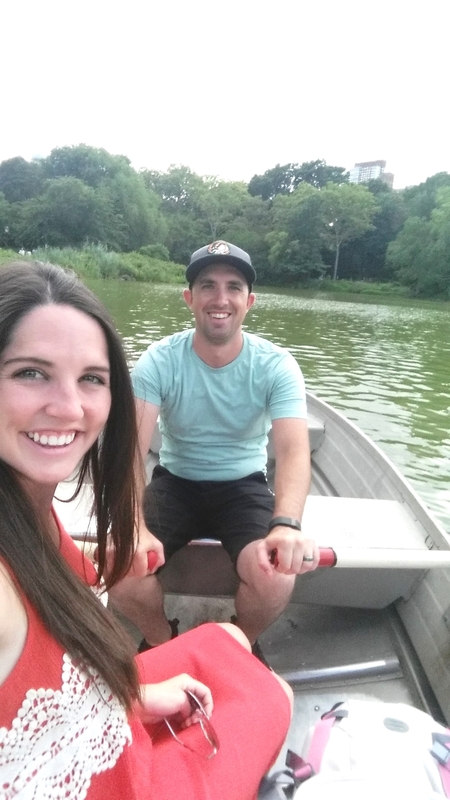 I was honestly probably looking forward to the rowboats more than I was any other part of our New York itinerary. I just think it is so romantic. And we would have found out right then, if we'd had enough cash. They don't take card, and while we had enough cash for the actual ride, we were like five bucks short of the deposit you have to put down before you go out on the boat. So we walked from the boathouse to the Plaza Hotel, because when you are sad about not being able to do something right when you had planned to do it, the best cure is food, obviously. We ate lunch at the Plaza Hall, and, I don't know, maybe I was starving, but all the things we ate were so good! And yes, all the things. We had this super thin crust pizza that you are supposed to roll up to eat, then we had eclairs, and then we each got our own crepe. And each thing was better than the previous. 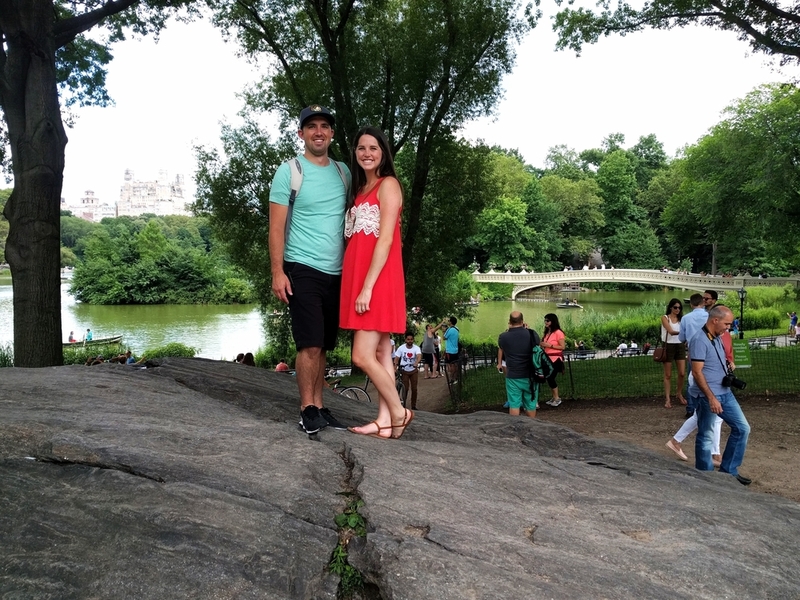 We found an ATM in the food hall before leaving, so we snagged some cash and then made our way back to Central Park. 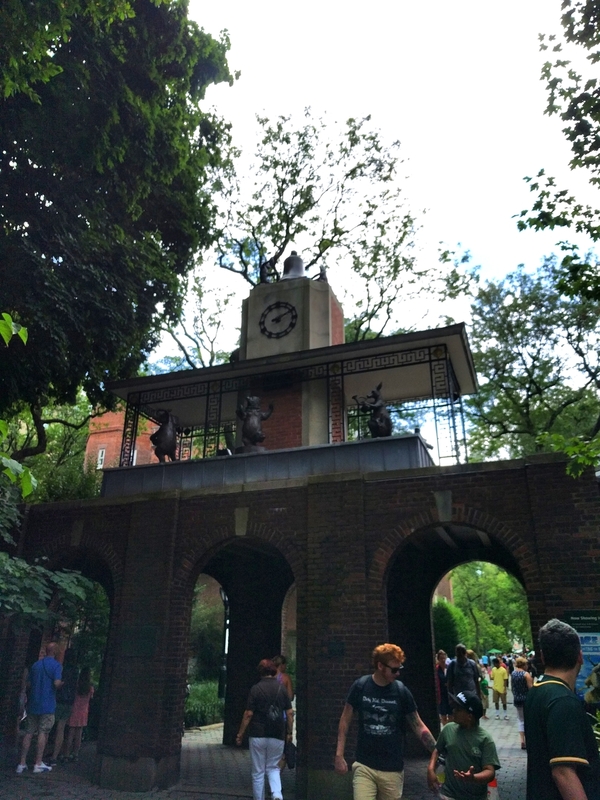 We stopped at Central Park Zoo first, because it was on our way back to the boats. I was so excited, because I love the Madagascar movies and the animals are from Central Park Zoo, but guess what? They didn't have a lion, a zebra, a giraffe, or a hippo. The whole movie is a lie!! I was so disappointed. I mean, the zoo was still great, but without Alex and Marty there, it just seemed empty. Talk about crushing a childhood dream. Or a teenagehood dream. Whatever. 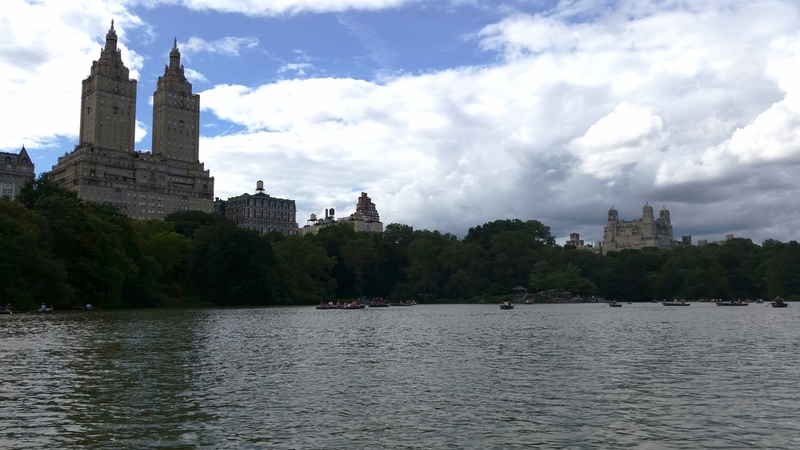 Central Park redeemed itself with those rowboats though, let me tell you. We had an hour out on the lake, and the view of the park around us and the city behind the trees was amazing, but the guy rowing the boat was the best view of all. Not to get mushy, maybe it's the hormones from the baby, but man did he look hunky rowing the boat. It made having to walk all the way to the Plaza for cash totally worth it. And also he put up with me spontaneously singing "How Does She Know" from Enchanted, because they sing that song around the fountain we were next to while on the lake. Our hour was up all too soon, so we made our way to the pond where you can rent tiny sail boats and watch them float around the water. If you have seen Stuart Little 2, then you'll maybe know the pond! 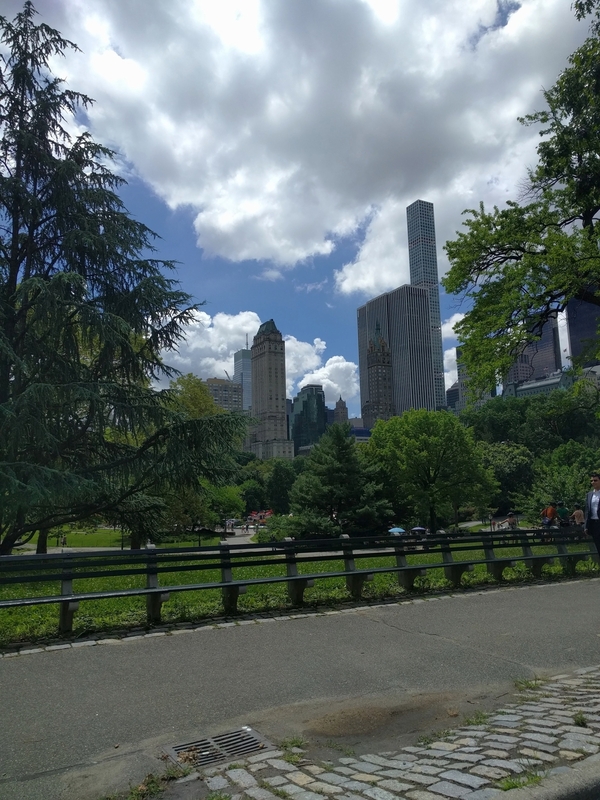 Then we walked through what is called The Mall (just a cute little avenue of trees in the park), and that concluded our time in Central Park! It was perfect. It was a warm day, but not quite as humid as DC had been, so it was really nice! We walked to the Hell's Kitchen area to find a place to eat, and found a place with some delicious sweet potato fries (my favorite thing as of the last few months). Then we walked to Holey Cream, a suggestion given to us by a family friend. They make donut ice cream sandwiches. DONUT ICE CREAM SANDWICHES, PEOPLE. We got to choose what kind of ice cream we wanted, what flavor of sauce for the top of the donut, and then what topping we wanted on top of the donut too. In order to eat the whole thing I would have had to starve myself for four days beforehand, but we ate as much as we could! It was delicious. When we got back to the hotel, Brandon told me that we had walked eight and a half miles that day. 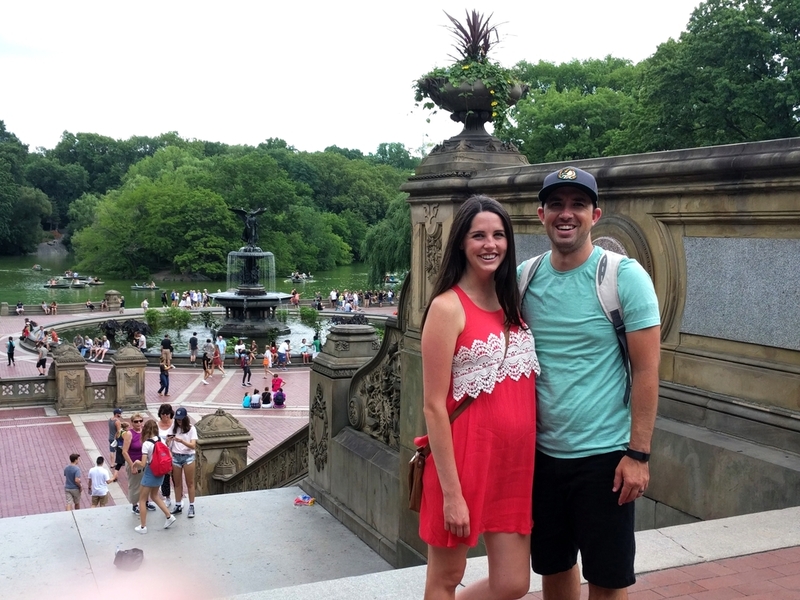 For some reason, I thought that being in Central Park all day would have limited our walking, but it didn't. Needless to say, we slept very well that night.